This e-magazine aims to “laugh” and “cry” at Death in an unconventional way, using written stories and cartoons. Its authors think that Death is “interesting, amusing, quirky, sombre, terrifying…[and] ubiquitous”, and believe that it’s important to contemplate “one’s own morality” daily. They are looking for “informed contributions that will provide entertainment”. Not for everyone, but you may like it! 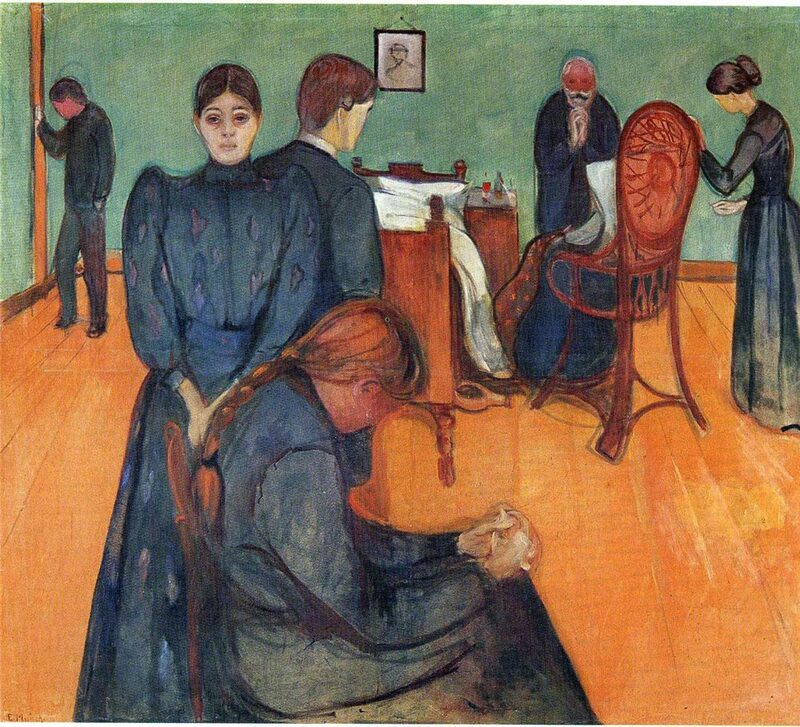 Death in the Sickroom focuses on the experience of grief and death of the family members. None of the figures interact with each other, but they are all in the same room. Each member deals with the pain in their own way: some prefer to turn their back towards reality, as is the grandmother; others seek reassurances from other people, as the lady looking straight at us may imply; others more prefer to be left alone, or to pray and contemplate. BBC World Service - Life and Death: When Are we Dead? Claudia visits Jerusalem in Israel to explore how the religions there, shaped over many centuries, have adapted to medical advances at the end of life. She discovers how Ariel Sharon’s final years, ventilated to keep him alive, illustrate the pivotal role religion plays.